Innogear announced their Innodrive family of Springboard modules. 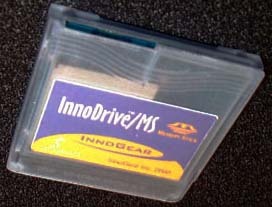 Innodrive/MS, shipping Q2, adds Memory Stick expansion capability to the Visor. We got our hands an a working sample, and when combined with a Sony Memory Stick it works similar to the Handspring 8MB expansion module. A preview of this module will come later this week. 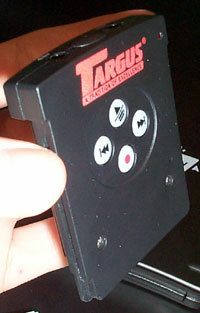 The Total Recall voice recorder module from Targus is now available. The module comes with enough memory for up to 1Â½ hours of record time and includes ear and mic jacks. Audio files can be transferred to your desktop as .wav files. 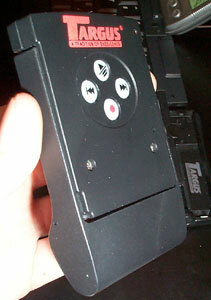 Also available is an "energy clip" which allows for the module to be used outside the Visor. If this module works out well you may start seeing audio interviews on VisorCentral soon! Price is $99.